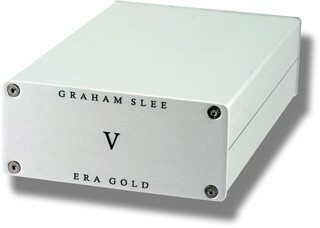 The Era Gold V is the same as the Era Gold Intro but includes the superior PSU1 power supply - one of the most popular Graham Slee phono stages. 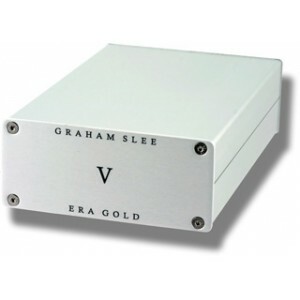 Designed for use with a moving magnet (MM) or high output moving coil (MC) cartridge (of 2mV to 8mV nominal output), the Era Gold V is unlike others phono amps at the price because it throws out normal thinking and uses a newly designed chip to outperforms standard discrete designs. Overall, the Era Gold has an unparalleled ability to do one thing, reproduce music exactly the way it should sound. 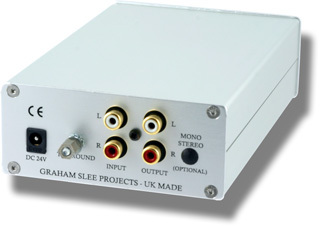 The Era Gold V can also be used with a low output moving coil (MC) cartridges if used with the Elevator EXP step-up stage inbetween phono stage and turntable. Rather than demo in a shop reference system which could be somewhat misleading with regard to how this item will perform in your own system, this item includes a 30 day money back guarantee, allowing you to demo it at home for upto 30 days in your own system. If you are unsatisfied, you can return it to us for a refund (terms and conditions apply).